located in the East Valley. 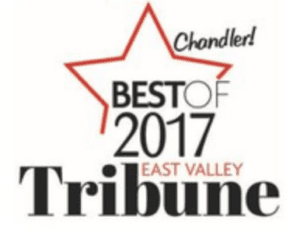 Ranked #5 in the Phoenix Business Journal list of top 20 ranked charter schools in the Phoenix area! School Tours are now being offered. Call the office to schedule one. Bright Beginnings is a great place to start your child’s education. Receive a “private education” for free at our charter school. Bright Beginnings is an A+ excelling school as determined by the Arizona Department of Education. Our school ranks among the top elementary schools in the state. Bright Beginnings School is a preschool and elementary charter school, which serves bright and curious children three years old through 6th grade. We provide a challenging, hands-on curriculum that allows students to work above grade level. Students develop a joy for learning while working in a highly academic environment. In addition to core subjects, our curriculum includes Art, Spanish, Music, Technology, PE and Health. Bright Beginnings offers a structured learning environment with small class sizes that include both a teacher and an aide in every class. The staff at Bright Beginnings is highly trained and focused on each child’s success. They work hard to ensure each child has a positive learning experience. Bright Beginnings School welcomes parent participation and is family focused. We encourage volunteers both in and out of the classroom. We have an excellent PTA that works diligently to provide opportunities for families to socialize and be included in their child’s education.